Science and beer is a great match. Who knew? 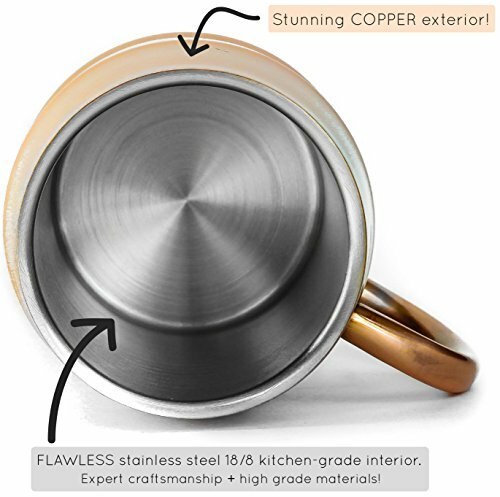 For maximum insulation, this mug has a layer of AIR in between 2 walls of kitchen-grade stainless steel. This also prevents any condensation on the outside. So you can always easily grip your mug, no matter how many beers you've already had! Refreshing ice cold beer has never been easier! 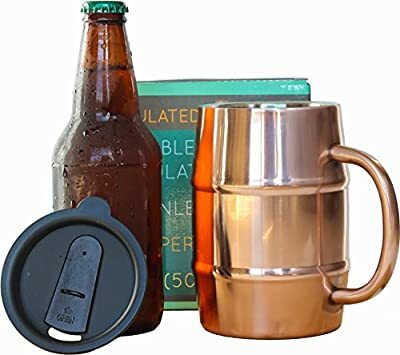 Beer fans agree - this mug is the perfect size for a beer! Whether you're pouring up your hoppiest craft IPA or a refreshing lager, this mug holds a full true pint (16oz) PLUS room for a creamy head of foam. 17oz total volume of beer perfection! Others may claim their mug is the ideal size, but they won't tell you that it doesn't even hold a full beer! THIS mug is the right choice for beers of all varieties! Your satisfaction is 100% GUARANTEED - or this round is on us! Shop today absolutely RISK-FREE! But hurry - stocks are limited and they won't last until Christmas! P.S. It's also great for COFFEE! BONUS to-go lid included. Phew...enough reading! You deserve a beer! Click Add to Cart NOW and start keeping 'em COLDER! WARM BEER?! Screw that! What if your favorite beer stayed ice cold to the last drop? 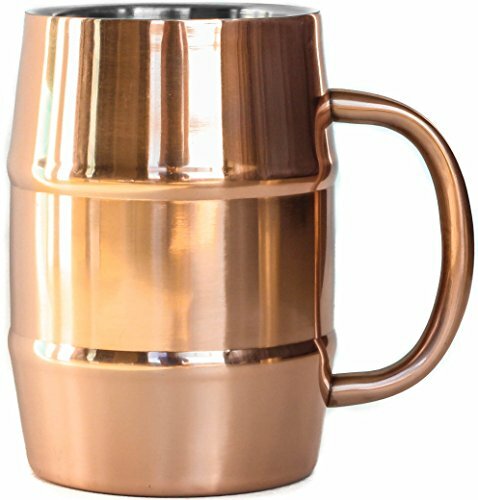 This insulated beer mug has you covered! BUT HOW? Science, yo. Between 2 impenetrable WALLS OF STEEL is an air space. WHY? Incredible insulation that a true beer fanatic requires. AND it's sweat-free. WARNING - beer in mug may be colder than it appears! 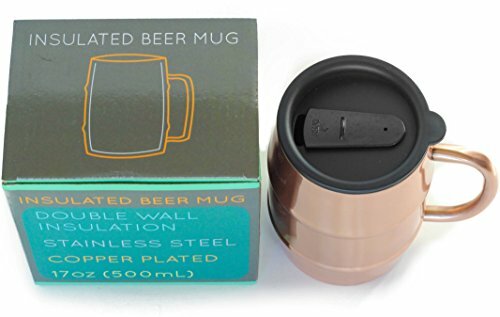 Beer lovers will tell you - this mug is the perfect size! Others may say their mug is the right size. But they won't tell you that it doesn't even hold a full beer! 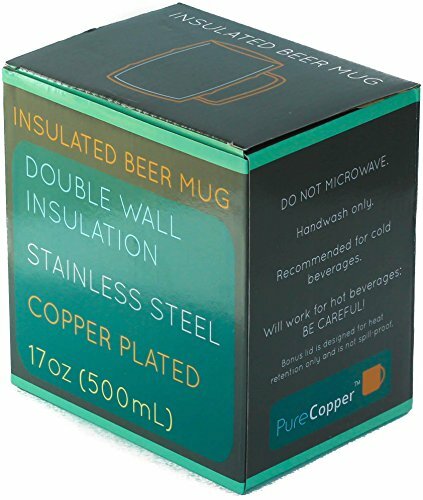 THIS mug will hold an entire 16oz pint of beer PLUS room for a delicious head of foam - 17oz total volume! WORLD-CLASS CUSTOMER SERVICE! Your satisfaction is 100% GUARANTEED - or this round is on us! Shop today absolutely RISK-FREE! No-nonsense money back guarantee. LIMITED SUPPLY - These mugs won't last until Christmas! 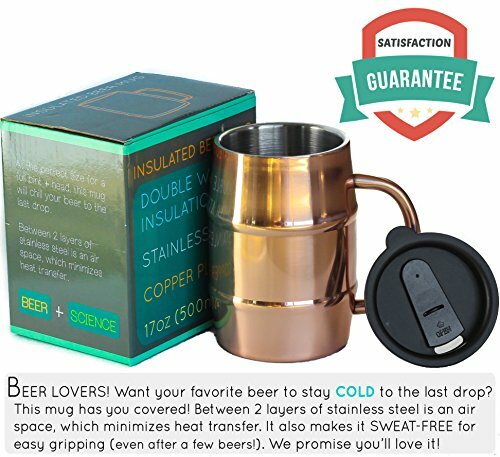 The beer lover in your life will be thrilled, so hurry and order today!